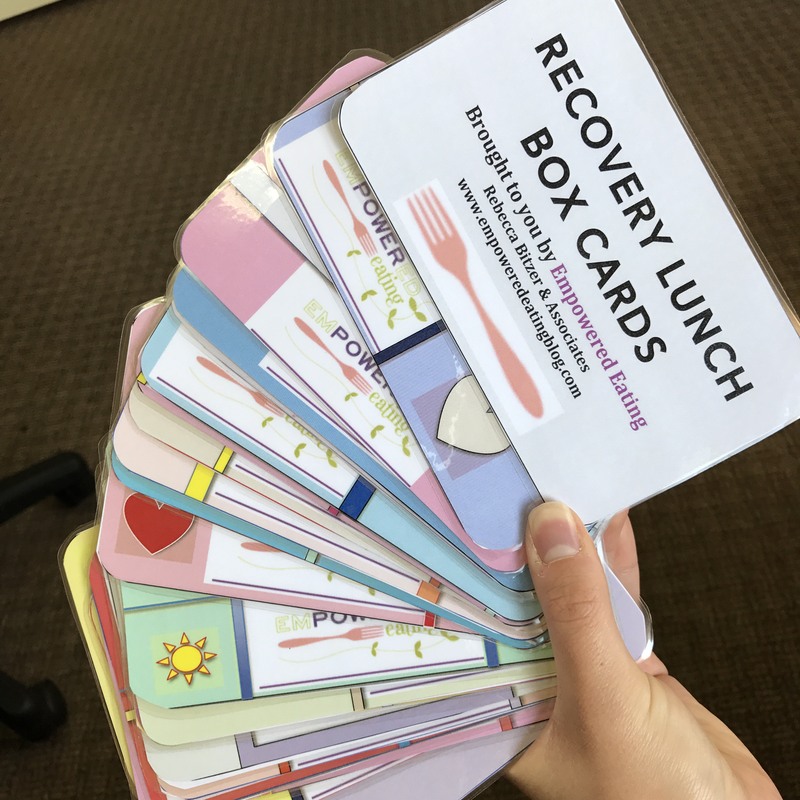 Mealtime in recovery from an eating disorder can be difficult. Many urges can surface or become stronger in the times closet to eating a meal. 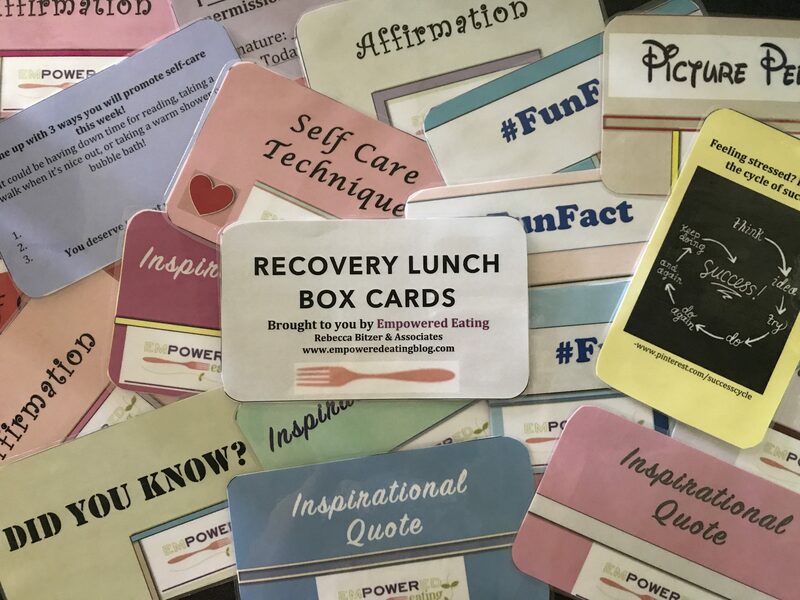 I developed these cards to add a bit of positivity to mealtime as well as an added reminder of recovery. These are available to purchase! Please email alex@empoweredeatingrd.com for more information or go to my Etsy page to order!